Build, Battle and Learn STEM with HEXBUG! We all know how important education is – I am personally very fond of the sciences. I did my Bachelors in Kinesiology and many of my electives were in Biology and Chemistry. I want my boys to understand this same love I have for sciences and how much fun the sciences can be (how can you not love mixing chemicals for reactions or building up a car that moves?). When you can combine learning with fun in a toy, this is a definite win win for this parent! This year, HEXBUG has released a whole new line of products that are perfect for children from three to their teens. These products will find your child building, using their imagination, battling and so much more. 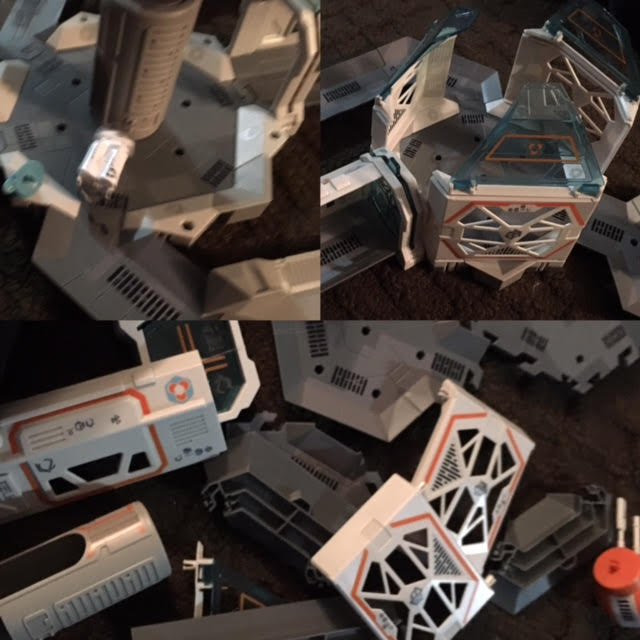 The HEXBUG nano Space Discovery Centre allows your child to take their HEXBUG adventures to space and beyond. The set is very easy to build and put together. My son and I had it ready to go in under ten minutes flat. 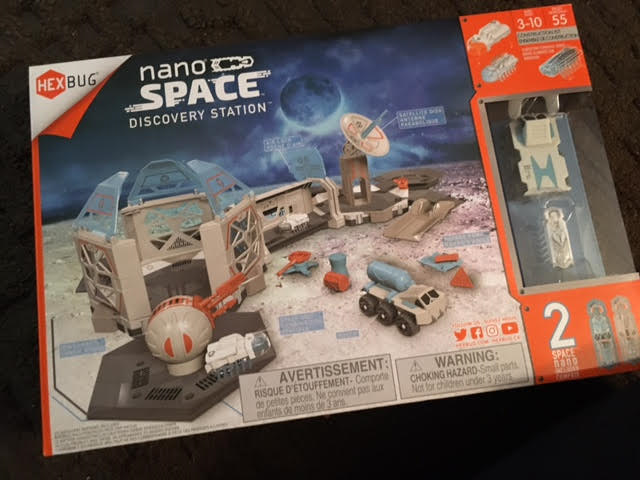 The set comes with two nanos, space suit, a rover and all the necessary pieces to make their space adventure come to life. Our son had so much fun creating space battles and even added in extra nanos to race around the space centre. 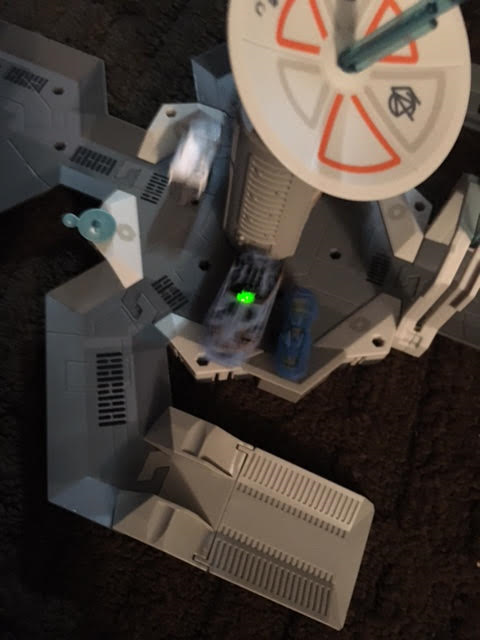 He used his larger HEXBUG as an alien that would attack the Space Discovery Centre and the smaller nanos would have to do everything they could to protect the centre and not allow the alien to take over. The Space Discovery Centre provided hours of imaginative fun and can be found at many retailers, including Amazon, Chapters and Toys R Us. 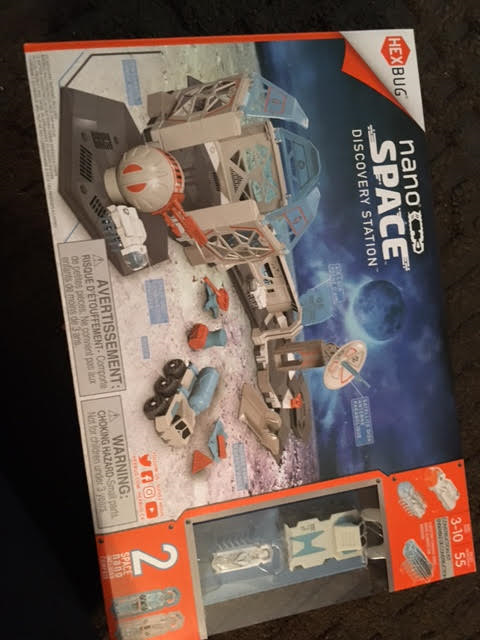 There is also a nano Space Cosmic Command and nano Space Zip Line in this product line that would go perfectly with this set. Maybe you have a child that is a budding engineer? 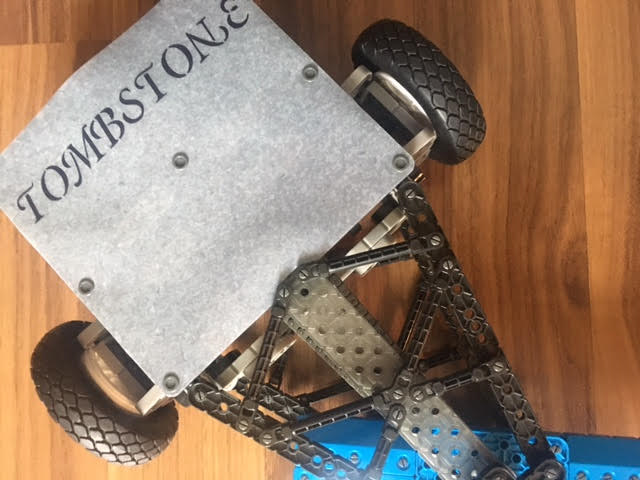 Then the VEX Robotics Tombstone by HEXBUG would be a great gift option for them. 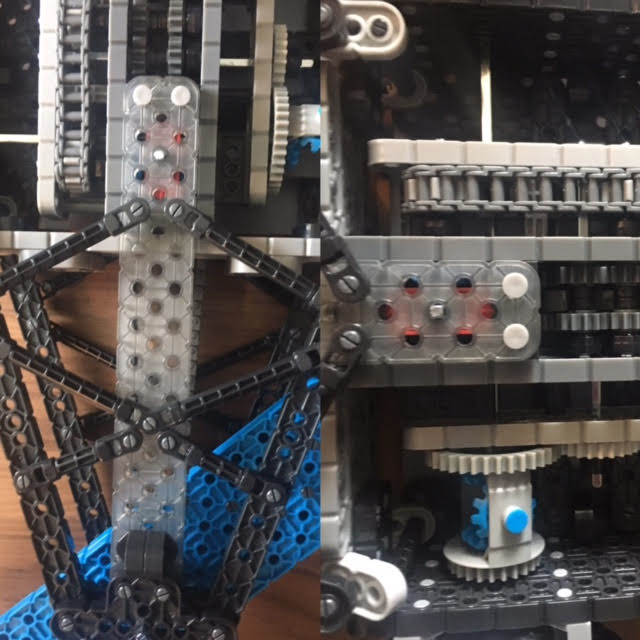 This set will have your child putting together pieces to assemble their own VEX BattleBot. This set is definitely for the older child or a younger child with a lot of patience and a parent nearby to help them. The instructions are excellent (some of the best that I have ever seen) and also includes real size image of many of the smaller pieces so that you can compare each piece to the instructions during each stage (which really helps to ensure that you don’t get near the end and realize you used the wrong piece in step two). The BattleBot took us about two hours to put together, although to be fair we took a lot of breaks. It was really fun to put together and the pieces snap together easily, although they are a bit trickier to pull apart. I found if you used one of the smaller pieces and pushed from the bottom the pieces would unsnap easily. Once the BattleBot was fully assembled, it looked incredible. We were both quite proud of the final product! 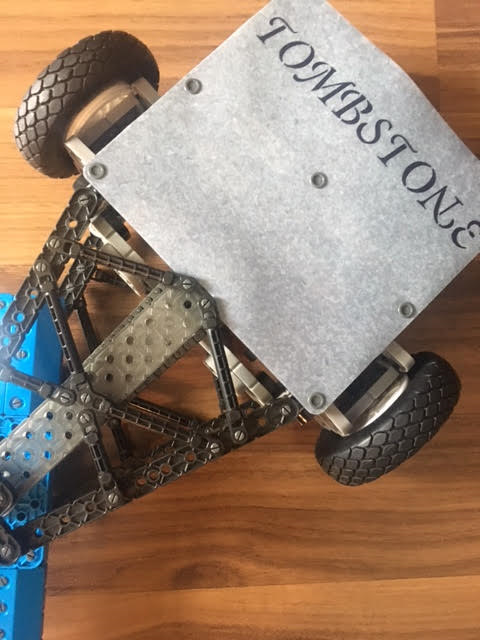 The VEX Robotics Tombstone can be purchased at Amazon and Toys R Us. You can also purchase the VEX Robotics Minotaur by HEXBUG to get into full battle mode. What features do you look for when purchasing educational but fun products for your child? Make sure to follow HEXBUG on Twitter and Facebook to keep up to date with all the newest products and more. 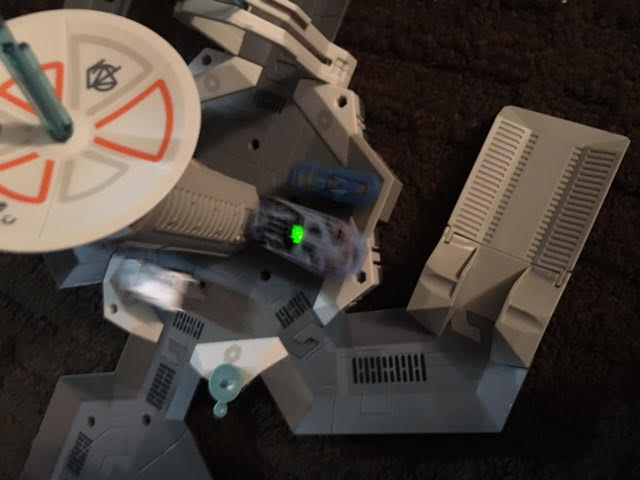 This entry was posted in children, gifts, gifts for kids, review.